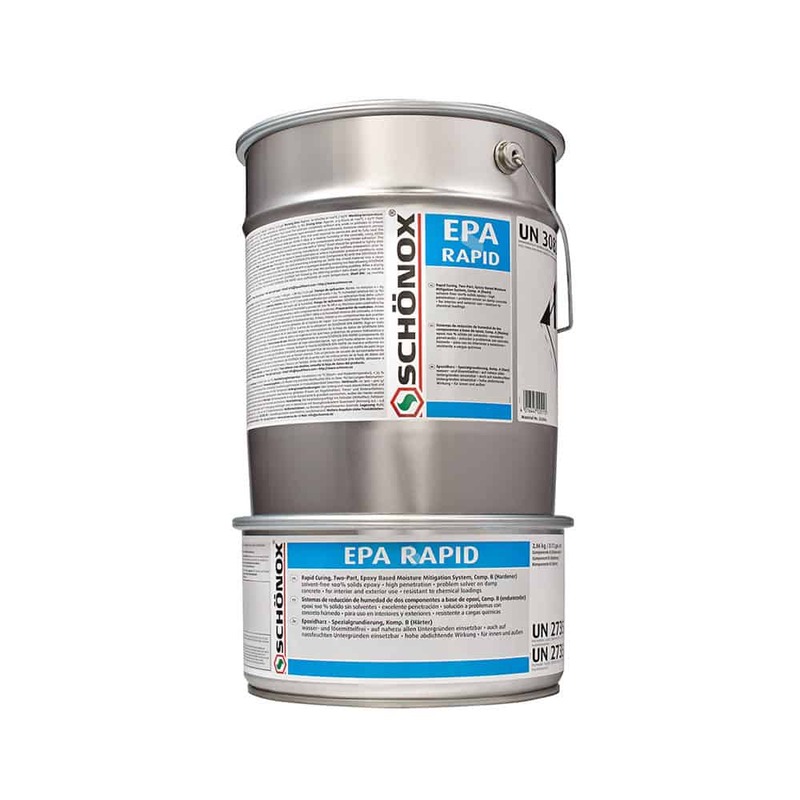 Rapid Curing, Two-Part, Epoxy Based Moisture Mitigation System suitable on porous, unheated concrete slabs to reduce moisture vapor emission rates from 100% RH or 25 lbs./1000 sq.ft./24 hrs to suitable levels before applying Schönox underlayments. Only one coat required to penetrate and to fully seal the substrate. Approx. 300 sq.ft. per unit; the finished application must cover the substrate completely without any voids or pinholes to ensure moisture vapor suppression!